Dickeys were originally made as standalone inserts mimicking the look of a dress shirt or collar. Crocheted dickeys do not have to fill this need; the word dickey, in the fiber arts world, has also come to encompass cowls and neck warmers made purely for fashion's sake or to keep out a cold chill. 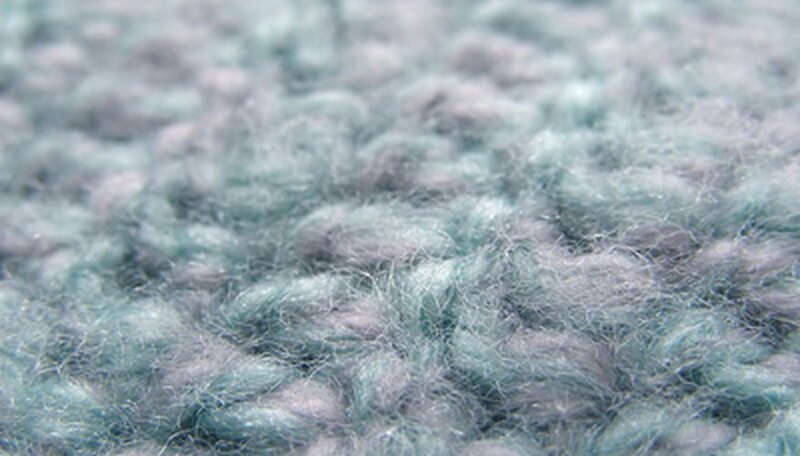 It is entirely possible for beginning crocheters to create a dickey using nothing more than basic stitches. The yarn and hook size largely determine the style of the dickey. Crisp white cotton thread worked on a small hook, for example, can result in a historical dickeys while a lush, bulky weight angora worked on a large hook makes for a soft, elegant, draped fabric. Choose a yarn in the color and style of your choice. Choose a hook based upon the suggestions given by the yarn's ball band or label. Crochet a chain long enough to fit around your neck, plus 1 inch. Crochet two additional chains. Wrap yarn over the crochet hook. Insert the hook in the second stitch from the end. Create another yarn-over on the crochet hook. Draw the loop through the first two stitches on the hook, leaving two stitches on the hook. Yarn-over again and draw the loop through the remaining two stitches on the crochet hook. You will have one loop left on your hook. This completes one double crochet stitch. Double crochet in each stitch across the chain until you reach the end. Chain two stitches. Turn the work. Double crochet in the second stitch from the end and repeat in each stitch across the row. Continue until the piece is equal in length from your chin to your shoulders. Add more to the length if desired. Finish the dickey at the end of a row. Cut the yarn, leaving a 6-inch tail. Remove the hook. Draw the yarn tail through the last stitch to fasten it. Weave in the loose ends of yarn with a tapestry needle. This will keep the yarn from unraveling. Thread a needle with an arm's span of cotton-covered polyester thread. Sew a strip of hook and loop tape to one end of the crocheted rectangle. Affix the complimentary strip of hook and loop tape to the other end of the crochet rectangle so that the pieces overlap to form a loop, or dickey, to fit around your neck. Cut any loose threads. Wash and dry the dickey according to the yarn manufacturer's label. Shape the dickey while wet and allow it to dry.